NABI's 6615,6652 and 6683 will soon be headed to River Div.and 6609 and 6610 will be going to West Div. River division? Why does River division need 6600s? Just FYI also, there are only 6 6600s left at Westmont. So they can move 2700s to North so North can move 2430s to West so West can move 6200s to Fox, so Fox can move 2600s to who knows? Like the CTA changing gears in the middle of receiving 1000s, none of this makes sense any longer, especially since the stimulus buses should have been allocated by now. If operating funds are that tight, all this bus swapping makes no sense. Well 6600s going to West is definitely no surprise. I guess I'm surprised all of them didn't go West. I'm wondering if they will continue to send 6220 on up to South. That could free up the 2400s to maybe head to North to take out the rest of the Orions and make those school runs. But nothing is making sense like Busjack said. Just wait until the new 40-footers come later this year, assuming they are still coming. How many 40-footers are coming and who is the manufacturer? That was based on the 2010 and 2011 Pace budgets mentioning money for them. I was going to make a statement about procurement, but there actually is a posting for an IFB for the delivery of 40 foot diesel buses. I guess I have to crack it open. Note: I have started a new topic for further discussion on this. Since NS still seems to have Orion Is, and I said before all it needs to replace them are ElDos, maybe some of the River ones go there. NS already has 2704-2707, why not 2702-2703 or 2708-up. Not that I see any need for Elgin to have 6600s, which they got rid of 3 years ago. Also, given that there was some substance to Pace getting some 40 footers near the end of the year, it doesn't seem to make sense to send 2400s to Waukegan to then have to tow them back to South Holland, or to send prospective purchasers to Waukegan. They could send 6200s to Waukegan directly, sort of like they did for 4 buses for Academy. I could see 6200s in Academy except the 2400s that are there will probably be on their way out probably by this time next year if not sooner. So Pace might have to send some more 6600s or El Dorados up to Waukegan eventually. FYI, 6219 is now at South. 6217, 18 and 19 have been reassigned over the past 18 months. I am told North just recently got three more 6600s. Anyone know anything? I have been sick with the flu and haven't been able to go out and see any new (to us) buses. I think the 6600s are spelling the end for the Orion Is up here, as 2400s will be shuffled down to the duties Orions had. Pace 834 only mentioned West and River. 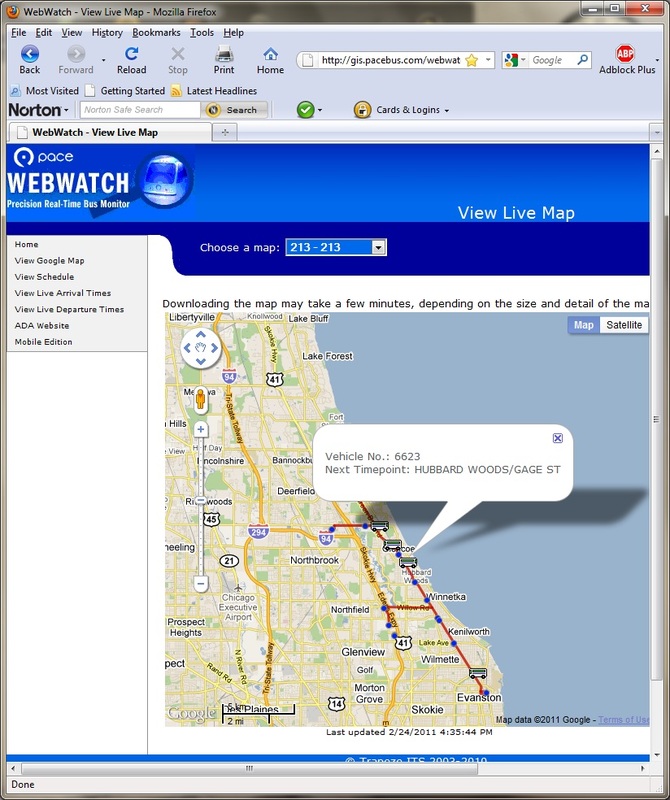 I did see 6611 on WebWatch in North. I'm sure Pace is not thinking that far ahead, but if it becomes time to retire 2423-2450 and Pace is only ordering 40 foot buses, that doesn't work out unless there is more shuffling. I doubt that 40 foot buses are justified in Waukegan, except for school runs and 565. On the North Shore front, it looks like while they got 5 6600s from the Westmont transfer, according to WebWatch, some confirmed by sightings, they aren't putting them out that much, while the usual Orion Is still are out there. Hence, one has to wonder how intent they are in retiring the Orion Is. As of last week, Westmont had 2 6600s left and neither of them were out during rush hour so I assume both of them are back ups. So it was probably the ones that were still hanging around. I haven't seen 6616 lately and that's amongst the last ones that was left. Nothing but El Dorados run all the routes coming out of Westmont now. This was covered a long while ago. BUT I wouldn't be surprised if more 6200s make their way South given the fact West just got 3 more 6600s from Westmont and the 2400s are beginning to look beat up and worn down. I saw one last weekend where the yellow paint was faded pretty badly. I could see 6220-6225, perhaps more, make their way there. One would assume that with the blizzard, Pace has other things to do than bus shuffling at the moment, which would explain why the two are still there, but now probably not for long, and others in limbo. Here's the update: There are actually 3 6600 Nabis left at Westmont; 6617, 6619, & 6623. 6623 still has snow covered on it from the leftover blizzard so I would bet that bus hasn't been ran for weeks. 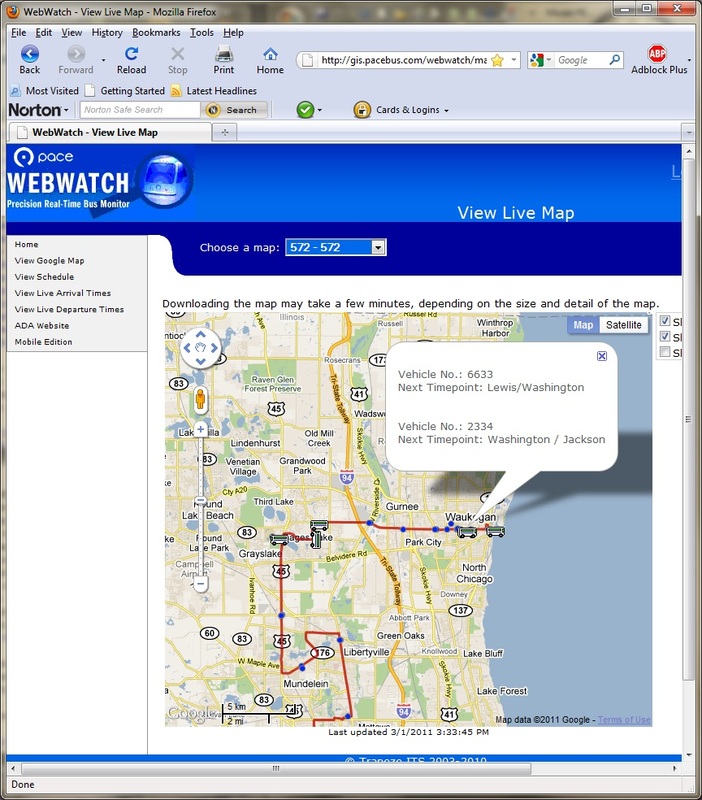 The rest of the 6600s are gone, but watching Webwatch today, the only one I see at North or North Shore is 6625. But the Orions are all over the shuttle bugs. Even a few of them are running the Waukegan/Gurnee routes. Pace must be trying to get all the mileage they can out of the Orions until they are run to the ground. Which kinda tells me they might not be ordering new buses anytime soon after the new 40-footers arrive. We may not see the end of the Orions until then. ... the only one I see at North or North Shore is 6625. That one came over when Joliet disgorged, and I think is in North. That bus had a long shuffling history, from Aurora or Elgin, to North Shore, to Joliet, to wherever now. That is basically the classification of 6624-6628. What I have from Westmont to North Shore are 6616, 6622, 6649, and 6668 (the last on the basis that you said it was in Westmont after it was in Joliet). I have 6623 at North Shore, so maybe something else is buried. Yeah, 6668 came over when Joliet began dismantling their 6600s in favor of El Dorados. I didn't see any of those buses on Webwatch today, but I did forget to check route 272. I keep forgetting that's a combo of NW and North. 6623 is most definitely at Westmont, it's kinda hidden between some of the school buses. I do see 6616 & 6668 on Webwatch running North Shore routes today. But no 6622 or 6649 as of yet unless they were out earlier this morning. I still don't understand why these buses are not out more frequently, but the Orions are still out there. I can't imagine the new 40-footers going anywhere near Waukegan at this stage. I'm wondering why 2401 is up there to be honest. I think eventually, more 6600s are gonna head up that way. That'll make the school runs more difficult as it's been noted they are pack to sardines with the 40-footers at it is. Now you drop to 35-footers? Pace will have to do something about that at some point. I said similar, but, of course, it also appears to me that there is one route not on the pulldown (630) and times when many buses that should appear on the fixed routes (210-215, 421-423, as opposed to the reverse commuter ones) don't on Webwatch. Last night was especially bad. 6623 is most definitely at Westmont, it's kinda hidden between some of the school buses. The WebWatch evidence of 6623 at North Shore has reappeared. I don't have the time to make the 25 minute trip to Green Bay Road to try to attempt to track the bus down and make a physical sighting. I can say that 6623 is physically alive and well. Last Tuesday morning we both exited SB Edens at Dempster EB, Followed it to Cicero where the driver turned South. 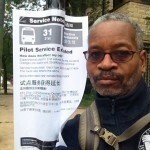 I assumed the pull-in route was Cicero to Oakton and Oakton East to North Shore garage. My route was Dempster to McCormack and than South which would have me cross Oakton. Told my wife "it would be interesting which route is faster"
I'm amazed that it took such a short amount of time to get that bus from Westmont to North Shore. They might be getting serious about getting rid of the Orions, but it's still gonna take some time. Considering that I had it on my "sighted on Webwatch" list for a couple of weeks, I have the feeling that something else was snowbound, as I had previously indicated. Maybe 6633. Nothing else has shown up at North Shore in a couple of weeks. The usual Orion Is are still on the school runs.